Wellesley United Soccer Club is pleased to announce that the popular indoor program is back. We are offering indoor sessions to all Pre-K - 8th grade players this winter. The goal of the Winter program is to provide a personalized approach for improving both technical and tactical skills while staying focused on fostering a passion for soccer! This indoor soccer program provides players with increased ball contact time, with more touches results in significant player improvement. A player has the ability to register for multiple WUSC programs, provided there are no scheduling conflicts. Where: Boston Sports Club (BSC) -140 Great Plain Ave, Wellesley, MA, 02482 & Longfellow Sports Club -203 Oak St., Natick, MA 01760, Upham School, Hardy School, Hunnewell School gyms. 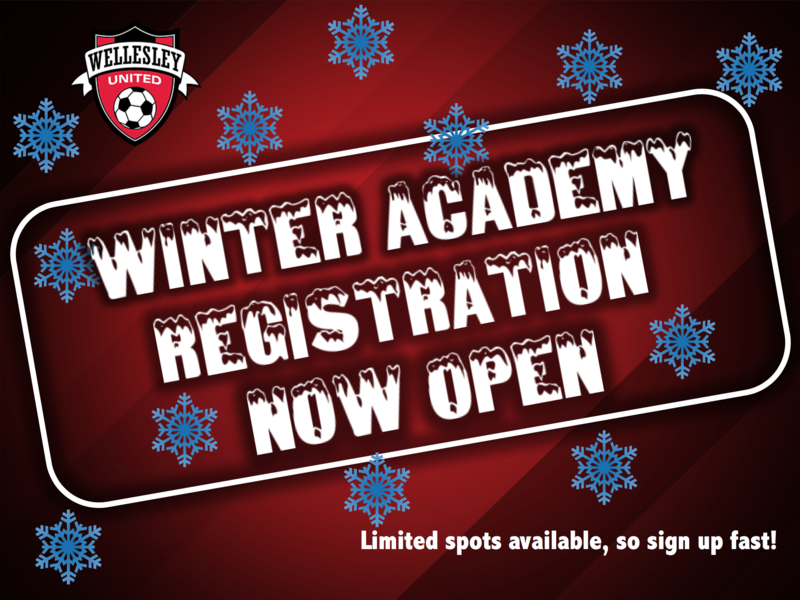 Click Here to Register: select WUSC Winter Program (PreK-8) or Winter Goalkeeper TrainingThe first 14 players registered for each session will be accepted. ** You can sign up for the wait list by registering for an already full program. You will not be asked to make payment for the program until off wait list. Additional sessions may be added if there are enough players on wait list so sign up for wait list to show your interest.